Alys Script is a calligraphic script font family. 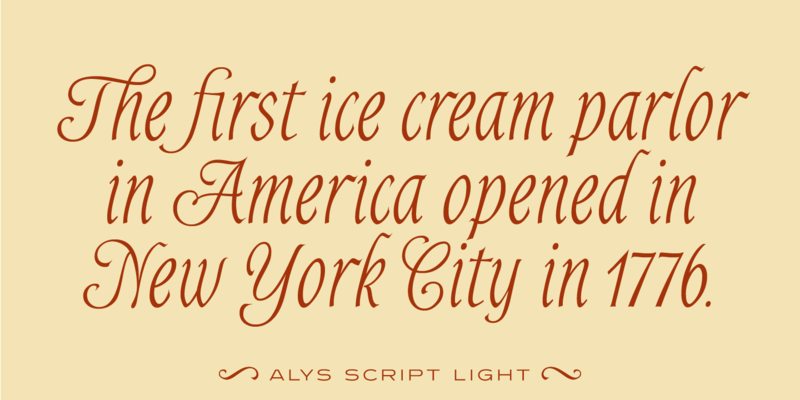 It was designed by Pat Hickson (P&P Hickson) exclusively for the Red Rooster Collection, and produced by Steve Jackaman (ITF) in 1995. 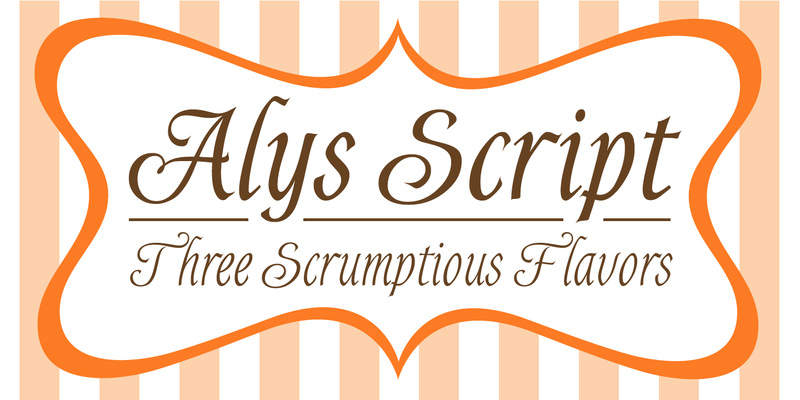 Alys is dedicated in loving memory to Hickson’s late mother, who shares the same name. 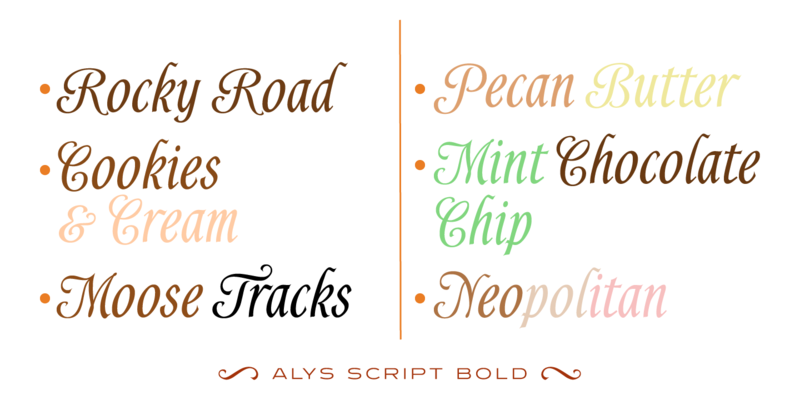 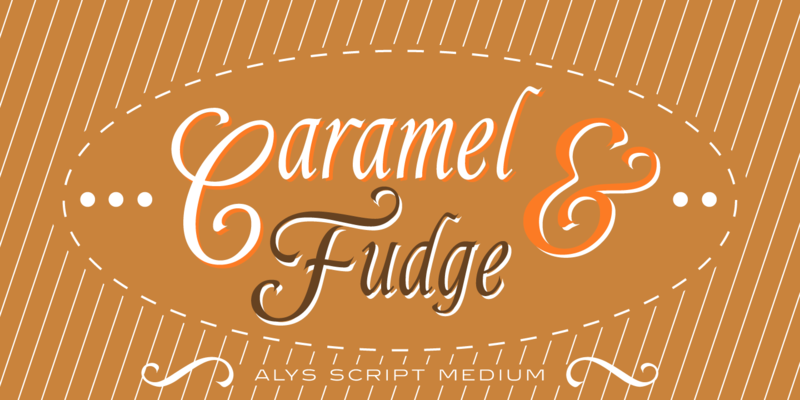 Alys Script is calligraphic, elegant, and whimsical. At paragraph and display sizes alike is quite legible, and gives a soft, cozy feel wherever it is used. 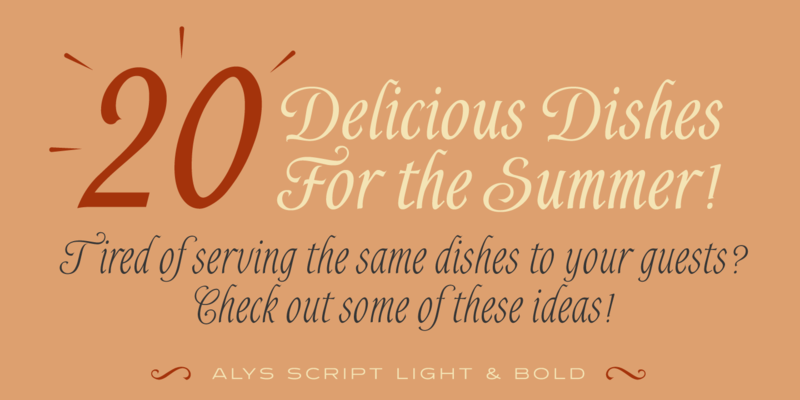 Alys is a trademark of International TypeFounders, Inc.